Nine Mini’s have been set alight in the city since November 21. 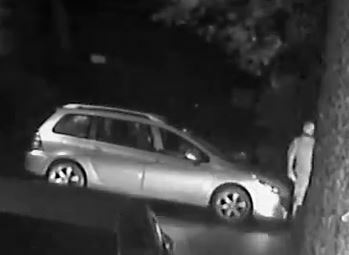 Cars have been targeted in Randolph Street, Hanley Road, Janson Road, Hinkler Road, Deacon Road, Downside Avenue, South East Road, River Walk and Belmont Road. The last incident happening on Belmont Road on January 5. 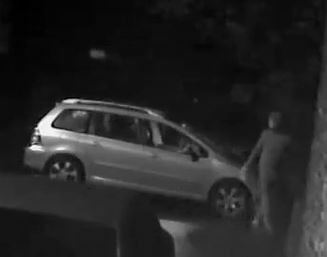 The man is captured on CCTV footage just before 10pm on December 3 on Deacon Road. 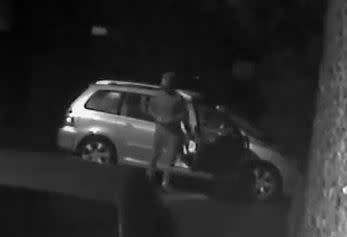 He pulls up and gets out of a silver or light coloured Peugeot 307 estate vehicle. Minutes later, a Mini parked out of shot catches fire. We believe the Peugeot is a model made between 2002 and 2007. Detective Inspector Steve Spencer, said: “We are working really hard to identify this person. “Arson has a huge effect on the local community, it destroys property but more importantly it puts people’s lives at risk. “Do you know anyone who is often out throughout the night and are known to drive a silver or light coloured Peugeot 307 estate car? Alternatively, call Crimestoppers and leave information anonymously. Do you own a soft-top Mini Cooper? Install CCTV to overlook your vehicle. Consider fitting an alarm to your vehicle with clear warning stickers alerting persons that an alarm is fitted. Alert your neighbours and request they be extra vigilant as to anyone who may be paying attention to your vehicle. Call 999 immediately if your vehicle is targeted.